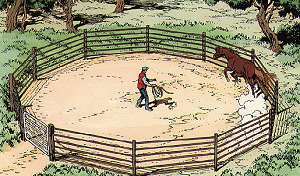 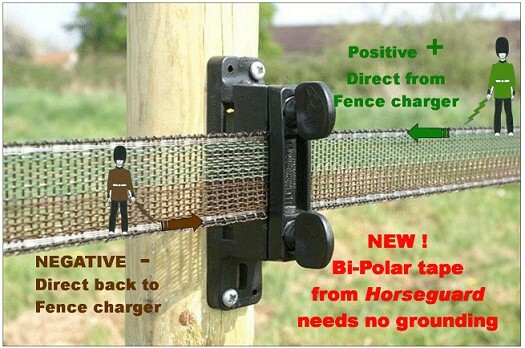 Where can you use 320ft of fence that is not affected and works even in extreme bad grounding soil condition? 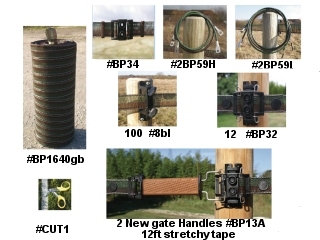 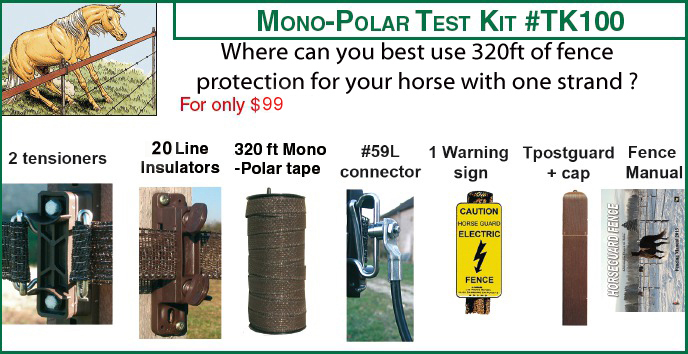 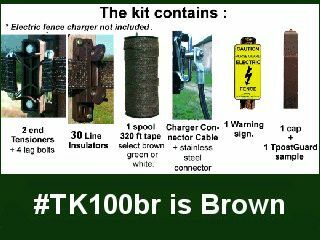 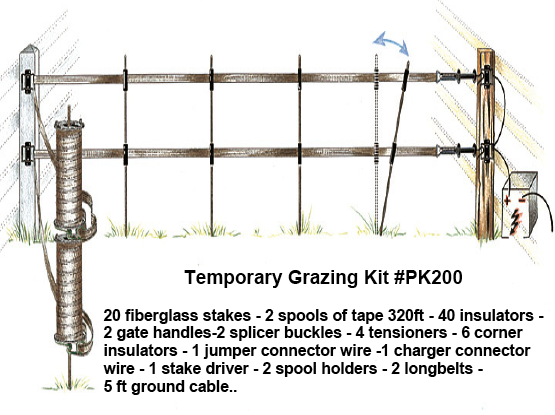 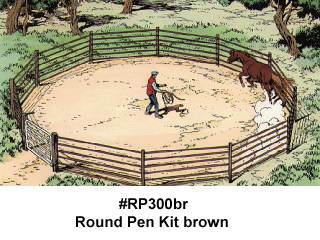 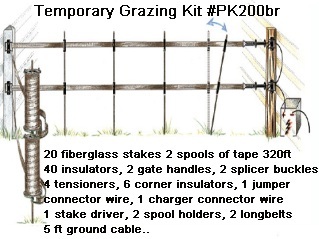 The test kit does not include the electric fence charger which is essential to make it work. 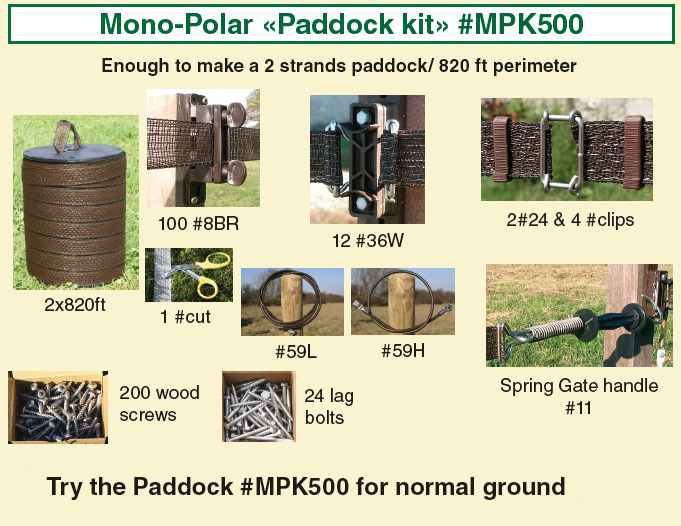 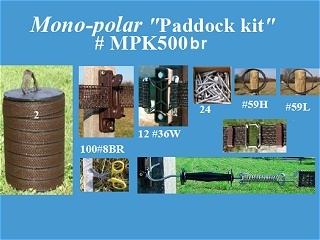 Click here to see What is in the Bi-Polar Paddock Kit. 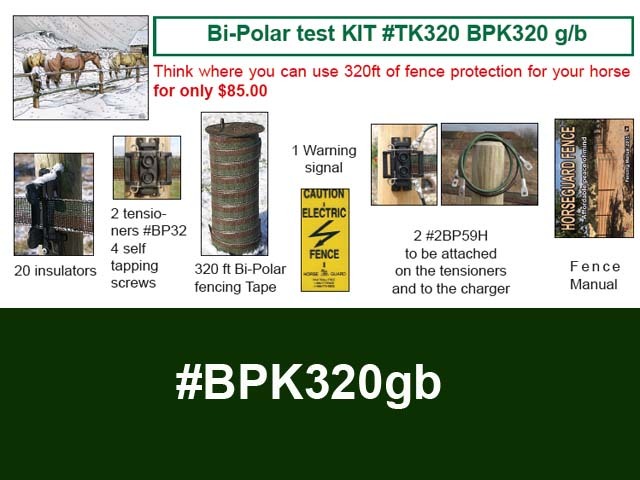 Click here to see How to set up the Bi-Polar Tape system.